Clients can avail from us a broad gamut of industrial vent fans, which is fabricated in conformation with the industrial norms and standards. Manufactured using quality raw material and structural components, our range is capable of extracting polluted air and circulating fresh air. 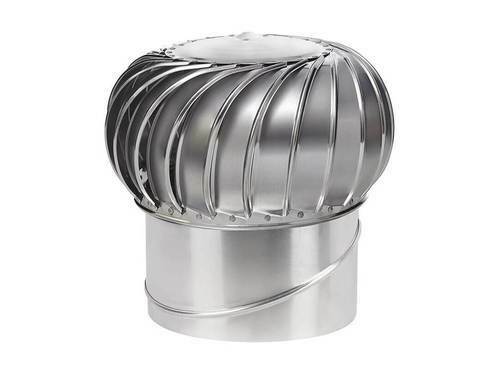 These vent fans find extensive application in offices, cabins, and bathrooms of the commercial and non-commercial establishments. Winde offers India's No.1 Roof Ventilator. This is the only product in India which functions on “Without Bearing” technology. Its rotation is thus not affected by dust, fumes, soot, smoke etc. Its unique Japanese technology with self-lubricating polymer device and steel shaft, provides high speed and consistent rotation, thereby providing long life and high suction capacity. "Wind e" Roof ventilators are virtually maintenance free. Maxxair with Double Bearing technology with Stainless Steel Rod with bearing on top and bottom concealed in Galvanized cups and supported by circlips.